DIY Scrapbusting eye pillow project. Now that everyone has their lovely scrap swap bits I figured it was time to start sharing some scrapbusting ideas. 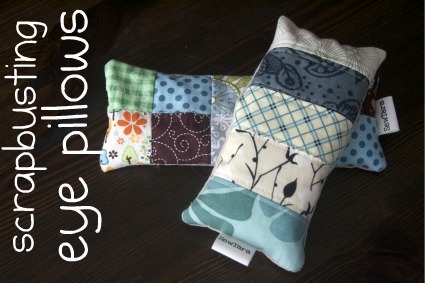 I made these fun little eye pillows over the weekend. 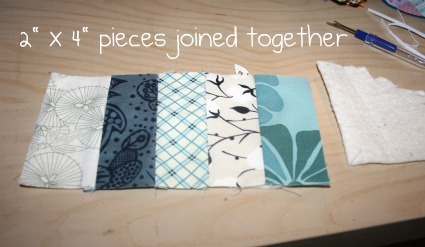 For one I used my pre-swap scraps that are all cut into 2 x 2 pieces. For the other I pieced together 5 2 x 4 pieces. Either way the math is the same and the finished pillows are the same size, perfect for laying across your eyes and having a quiet moment to yourself. Here’s what you need. I suppose you could use some other smelly scent but I like lavender and so I just broke open this drawer smelly thing I had and used the bits from inside. I joined the pieces together and then cut a piece of batting for the back and did some accent quilting. Then I cut a piece of my nice soft natural cotton for the back. With right sided together I zipped around and left a little opening to pour in the filling. I fashioned a little funnel out of paper and poured in flaxseed and lavender until the pillow was full but still floppy enough to curve nicely over my nose. 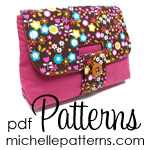 The last step is sewing up the opening, and voila you have a relaxation aid! I created a Flickr group where you can post things you’ve made with odds and ends of fabric. 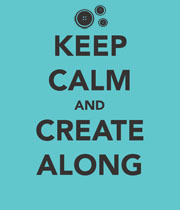 If you make something using one of my tutorials I’d love to see it there. This entry was posted in DIY, gifts, scraps, sewing, tutorial-ish and tagged DIY, eye pillow, flickr, quilting, scraps. Bookmark the permalink. 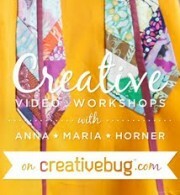 4 Responses to DIY Scrapbusting eye pillow project. I love the scraps you chose to put together, very cute. I might need to make one with yours now! 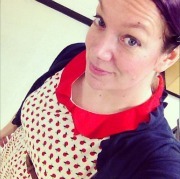 Pingback: Sew Tara » Blog Archive » Pattern weight thingies. Or just fun cubes to toss around. NICE Tara! I’m definitely going to need to make on of those! 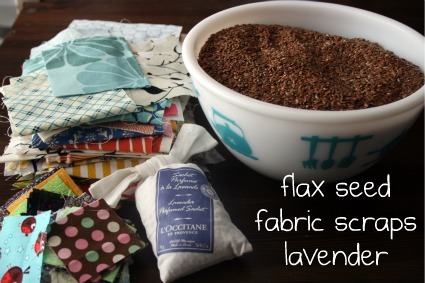 So tell me…what is the purpose of the flax seed??? ?